On 12 May 2015 at Cranfield University, the Royal Aeronautical Society (RAeS) discussed Human Factors in Engineering - the Next Generation. Do we need a new generation approach to maintenance human factors too? 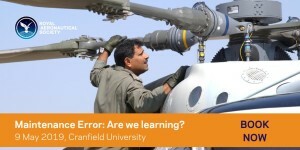 In his opening address Cranfield University’s Professor Dave King (a former Chief Inspector of Air Accidents with the UK Air Accidents Investigation Branch [AAIB]) talked about a generation of attention on maintenance HF incidents since the infamous BAC-111 window failure in 1990. This was by no means the first accident investigation were maintenance HF issues were examined. However, that accident (and a structural failure to a Boeing 737-200 in Hawaii in 1988) mark the beginning of a period were the human factors aspects of a number of high profile maintenance related accidents and serious incidents were examined in detail. These investigations went beyond the outdated idea that ‘error is a cause’ to a more searching examination of the circumstances why error was a consequence. Professor King however made the point that a generation on, similar occurrences were still repeating. Human Factors training alone is not considered sufficient to minimise maintenance error. Most of the [contributing factors] can be attributed to the safety culture and associated behaviours of the organisation. Share data better across the industry. Integrate HF more fully into Safety Management Systems. Get better at actually implementing improvements. At the time of writing this short survey is still currently open so you can still have your say. The following case study considers Professor King’s question, using some material presented in other sessions of the seminar. Cowlings have been lost from a wide range of aircraft types (for example Airbus A330, ATR72, Boeing 717, Boeing 737, Bombardier CRJ, Embraer 195 and McDonnell Douglas DC-8). However, remarkably there had been over 30 previous cases on the A320 family (both CFM56 and V2500 engines). Safety Recommendation 2013-011: It is recommended that Airbus formally notifies operators of A320-family aircraft of the fan cowl door loss event on A319 G-EUOE on 24 May 2013, and reiterates the importance of verifying that the fan cowl doors are latched prior to flight by visually checking the position of the latches. The final report on the Heathrow occurrence is expected to be published shortly. UPDATE: This was issued on 14 July 2015 and we issued our own summary on the same day, mainly focused on maintenance HF matters. The failures to close cowlings was not due to lack of knowledge. Human factors, such as distractions, can affect all steps in a procedure. In another presentation, the UK CAA commented that too often we apply MORE training and MORE procedures when we should be looking at their EFFECTIVENESS. The history of cowling losses indicates that procedures were not an effective control for this hazard. The series of losses also suggests this conclusion was apparent some time ago (for example after the AAIB report on at incident to G-VCED in 2000) and this was not a hazard where eliciting more near miss or hazard reports was necessary to supplement the data on actual cowling losses. A far better control is to design out the potential for error. It cannot be expected a design can cope with any maintenance abuse; however, it shall minimise the risk associated with the normal maintenance practices in the current airline environment. It is now anticipated that a new locking modification will be available for retro-fit to the A320 family later this year that uses a large key (marked with a flag and with a specific cockpit stowage location) that can only be removed when a cowling is actually in lock. The A320neo will feature a cockpit locking indication also. Easyjet talked about the value of encouraging design / maintenance collaboration in what will hopefully eliminate cowling closure errors. Clearly it is preferable for that collaboration to identify tasks that are at risk of human error early in the design process, as the cost of design changes increases dramatically as a product progresses through its lifecycle, from concept into service. 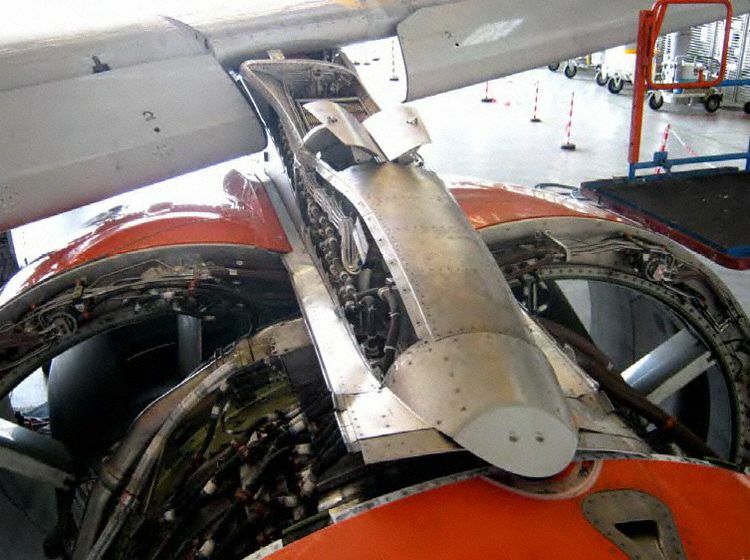 Other modifications, such as adding smaller access panels to allow some tasks to be done without opening the cowlings, are also worthy of consideration to reduce exposure to cowling unlatching. UPDATE 27 July 2015: Flight International report on design changes. UPDATE 28 March 2016: EASA issue AD 2016-0053 on V2500 powered A320s for a Fan Cowl Door Latch with Key and Flag Modification. UPDATE 16 December 2016: EASA issue AD 2016-0257 on CFM56 powered A320s. During one of 8 workshops held during the seminar Dr David Embrey of Human Reliability Associates demonstrated the SHERPA (Systematic Human Error Reduction & Prediction Analysis) technique and associated software. Widely used in an number of industries, SHERPA has been previously used on projects on fast jet and helicopter maintenance as well as in flight deck design analysis. In the demonstration, task cards for a critical flying control maintenance task were deconstructed and a number of opportunities for improvement became rapidly apparent. If used during the design process, such techniques can highlighting high risk tasks that justify design improvements and result in more risk-aware technical publications. However it would also have great value within CAMOs and maintenance organisations. Do we need a next generation approach? Probably, but we certainly do need to apply the full range of tools, techniques and processes that are available in a balanced way. Reliance on ‘easy’ traditional actions (e.g. warning decals, extra procedures, safety notices and repetitive PowerPoint based classroom training) is not enough. Failing to learn from incidents that have happened to others while waiting for you own people to make errors are not good enough either. Equally learning of the misfortune of others is not the same as learning from it AND putting improvements in place. During the conference, the John Saul Executive Director of the International Federation of Airworthiness (IFA) presented Professor Dave King with the IFA’s Whittle Safety Award for his work on human performance associated with accidents and furthering actions to reduce human errors. Presentations from the RAeS seminar are available here. UPDATE 19 October 2015: Aircraft Maintenance: Going for Gold? …seeks to provide information on the common causes where maintenance error has been a contributory factor in incidents and occurrences reported to the CAA. 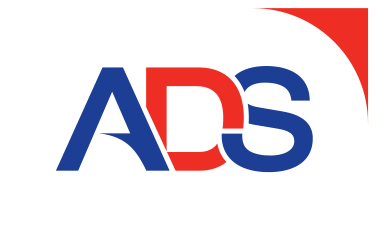 The aim is to provide industry with a more up to date set of data which they can review and, where appropriate, use to complement their own analyses as part of their Safety Management Systems and Human Factors Continuation Training Programmes. Unfortunately, in relation to providing an ‘up to date set of data’, this report, originally due for publication in 2013, was delayed until now and only includes data up to 2011. UPDATE 4 December 2017: United Airways Suffers from ED (Error Dysfunction). The US airline shows a strange grasp of human factors principles and argues AGAINST a human centred design change intended to address a long running series of maintenance errors. HeliOffshore, the global safety-focused organisation for the offshore helicopter industry, is exploring a fresh approach to reducing safety risk from aircraft maintenance. Recent trials with Airbus Helicopters and HeliOne show that this new direction has promise. The approach is based on an analysis of the aircraft design to identify where ‘error proofing’ features or other mitigations are most needed to support the maintenance engineer during critical maintenance tasks. The trial identified the opportunity for some process improvements, and discussions facilitated by HeliOffshore are planned for early 2018. UPDATE 24 June 2018: B1900D Emergency Landing: Maintenance Standards & Practices The TSB report posses many questions on the management and oversight of aircraft maintenance, competency and maintenance standards & practices. 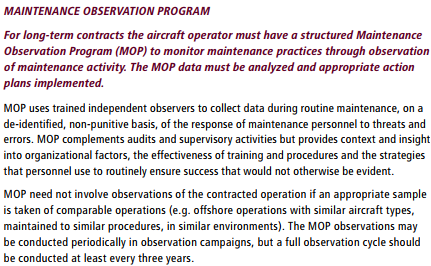 We look opportunities for forward thinking MROs to improve their maintenance standards and practices. UPDATE 25 August 2018: Crossed Cables: Colgan Air B1900D N240CJ Maintenance Error On 26 August 2003 a B1900D crashed on take off after errors during flying control maintenance. We look at the maintenance human factor safety lessons from this and another B1900 accident that year. Aerossurance is also pleased to be supporting for the second year the Chartered Institute of Ergonomics & Human Factors‘ Human Factors in Aviation Safety conference at East Midlands Airport 7-8 November 2016. We will be presenting our views on the future on maintenance human factors. Aerossurance is delighted to be sponsoring an RAeS HFG:E conference at Cranfield University on 9 May 2017, on the topic of Staying Alert: Managing Fatigue in Maintenance.